East China Normal University is one of China's finest universities and is the official center for Teaching Chinese as a Foreign Language. Science, liberal arts, management, engineering, law, education, philosophy, history and economics are all popular courses here. With 3000 international students each year, the school is a hotspot for international students in China. Located in Shanghai, East China Normal University (ECNU) is directly under the auspices of the Ministry of Education (MOE) in China. It is also the offficial center for Instructing Chinese as a Foreign Language.The passing rate of HSK is always high. Engineering, science, management and economics are hot subjects there. In particular, International Business is taught in both Chinese and English. Besides, various cultural activities are organised for you. 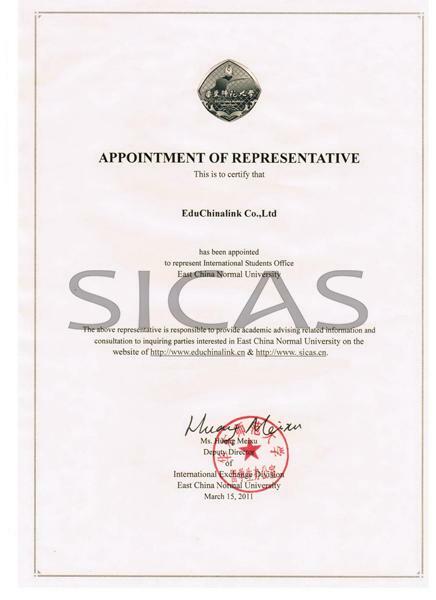 ECNU is very popular among international students, 3000 international students studying there every year. ECNU expects your coming.